French Connection have outdone themselves this season, with floaty maxi skirts and dresses and luxurious wide leg trousers making their way into the Spring and Summer collections. Best of all they're all really wearable with sleeker, more understated pieces to more vibrant prints. 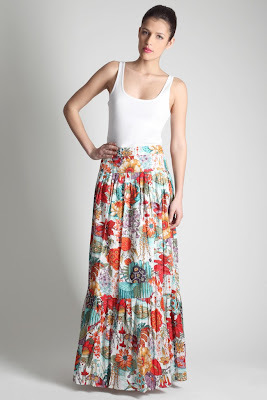 Valerie Flared Maxi Skirt £67, Pella Drape Trousers £115, Floral Garden Maxi Skirt £67, Walk in the Park Maxi Skirt £62. Tooo amazing. I liked very much these looks. this is exactly how i'm gonna dress!! simple and edgy! Warning: It's incredibly bright! Much brighter than it appears online. Their walk in the park maxi skirt floats beautifully when you walk though. Worth investing. 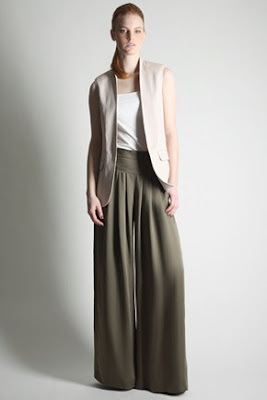 Also, Kookai have 2 stunning maxi skirts at the moment. Love summer! Love the floral bohemian skirt on the bottom left. Suitable for spring/summer attire! Would wear it with white hijab and mandarin color top. I've started a blog of my own, and I wondered if I could get some advice on how to make my blog as successful as yours. I read somewhere that your a medical student and since a very young age i've also wanted a career in medicine. How do you handle writing your blog and studying? Isn't it difficult for you?